Hi GregE, Not that your gonna compare the hunting from my region because I'm from down under but I found it interesting you mentioned you wanted to know when bad weather affected your extended family. We're still cleaning up after the worst floods in a 100 years and tonight the worst cat. 5 cyclone in our history is going to hit our North East coast. Not that we're complaining it just means I can't go huntin for a few more days. What doesn't kill you just makes you stronger. Glad you're doing well Shadow. You have a beautiful country; it's a shame it was hit so hard by the floods. wELKome aboard Shadow. WE've had a few of you DU folks. I spent a couple days in Cairns coming back from PNG- sure wish I had more time to see the rest of the country. I'm in Lane county, Oregon. 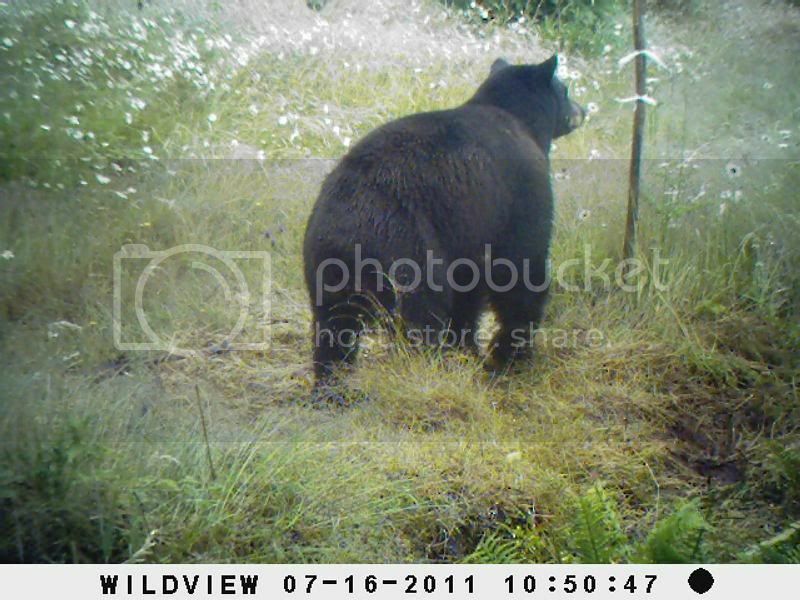 Where we're overrun with bears, however season opens tomorrow, hope I run into this guy again. "Skin that one out, I'll get ya another"
Go get em, 4x5. Looking forward to your report and pictures. I grew up in N Eugene- so appreciate hearing how things are going in that area. Now, boy,,,,,,,,,,,, are you sure you kin skin griz?!?!? GregE wrote: Go get em, 4x5. Looking forward to your report and pictures. I grew up in N Eugene- so appreciate hearing how things are going in that area. GregE, the pic was taken about 16 miles southwest of Eugene. And Yep! I kin skin Griz ! Gotta tell ya , I've been using that singnature since 2005 and you're the first person who's known where it came from. AND THE GREAT DEBAY30 SHOWS UP!!! GREAT TO HEAR FROM YOU!